What is the best database for Biology articles? The best bet for comprehensive biology research is Biological Abstracts. If your topic is animal related, you should also check Zoological Record. You can use PubMed for biology topics, but be aware that it contains a vast amount of medical literature that won’t be useful to you. Google Scholar (which is not really a database) and Scopus also have many good scholarly articles for biological research. How do I pick good search terms when looking for articles? Then take it one step further and look for other terms and phrases that are synonymous with the ones you’ve already picked. Wait a minute! Did you just use Wikipedia? Yes, Wikipedia is a good place to look for alternate names and terms. I’m using it here to inform my search strategy, not as a research source itself. This search phrase should find all combinations of the terms for the little brown bat and white-nose syndrome. Generally speaking, the keywords you use will be nouns, with the occasional verb if it seems necessary. Don’t be afraid to add new words to your search as you go if you find new synonyms or terms that seem relevant. My assignment says I need “peer-reviewed primary research.” What does that mean? “Primary research” means articles discussing new research written by the scientists who performed experiments. These are essentially expanded lab reports complete with the following sections: introduction, materials and methods, discussion and conclusion. These articles form the bread and butter of academic scientific literature and are the gold standard for resources for your paper. “Peer reviewed” means that the article was read and reviewed by other scientists in that field before it was published. The vast majority of scientific journals send all their research articles through peer review, but if you have questions about a particular title you should ask your professor or email me. In addition to primary research articles, you will also find articles marked “Review.” Akin to a research paper, these articles report on the findings of several primary articles and seek to bring together research on a particular topic in a more readable format than the originals. These articles are great when you are trying to understand the state of the research on a particular topic. Use them as a guide and be sure to read the original articles reviewed before citing them separately. You may also find other kinds of articles such as book reviews, meeting reports, obituaries and editorials within scholarly journals. These are clearly marked on their first page and should not be used for academic writing unless you have a pressing reason and have cleared it as a source with your professor. I have one good article on my topic. How can I find more? The best way to find work related to a given article is through its citations. You can use either Web of Science or Scopus to find articles that cite your “good article.” Search by title for the record of the paper you already have, and then use the links to find newer articles that cite that work and also links to the older papers cited by your original article. By pursuing both directions, past and future, you can often find more research on related topics. You can also look at the subjects or “indexed terms” associated with a particular paper in a subject database like Biological Abstracts, Zoological Record or PubMed. These are words and phrases assigned to an article to show connections to related articles. Once again, find the record of the article by searching for its title in one of the databases, and then look under the abstract for “Indexed terms,” “Subjects” or “MeSH Terms” (Medical Subject Heading). You can then search the database for other articles that were assigned the same labels. These articles are really complicated and confusing. Is there something in plain English I could start with? If you are just getting started on a topic, many of the scholarly articles may leave you scratching your head. More Information: Books in the Gale Virtual Reference Library, SpringerLink, and NCBI Bookshelf and websites found on ScientificWebPlus. I need topic ideas. Is there somewhere I can read about latest research in the field? Many websites report on new scientific research as it is published. My favorites are ScienceDaily and ScienceNews. Also, see NatureNews, and the AAAS ScienceNow. On these sites you can find the citations of the scholarly articles that are discussed and often direct links to the articles as well. If you are having trouble finding an article discussed, feel free to contact me so I can help you find what you need. I’m a science librarian and I’m spending a little time today looking at various libguides and resource pages. I enjoyed your concise explanation of developing a search strategy. I especially liked “Wait a minute! 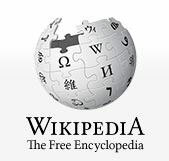 Did you just use Wikipedia?” Your distinction that using it to inform your search is different from using it as a resource is exactly the point. You packed a lot of info into this easy to read page. Nice work.